ConocoPhillips Humber Refinery is lucky to have someone such as Nina Stobart looking after their public affairs. She is very passionate about her job and anyone who has ever met Nina, will know she has such energy and passion. She’s the type of person you want at your party to get it started! Nina joined the petro-chemical company after being headhunted. She had previously been doing marketing and public relations for St Andrew’s Hospice in Grimsby. As she says it’s not the traditional route into the industry as many people normally have a degree, though it’s not essential. From day to day her job varies from producing newsletters, to employee communications to looking after PR for Killingholme and Whitehaven. She also looks after marketing in the UK, which is the petrol sales under the Jet brand. Another area of her job is CSR – Community Social Responsibility – something which the US owned company is good at. Nina can spend time from painting community centres to helping out at homeless shelters, planting trees or painting children’s faces! The job is varied and is not the normal run of the mill PR, which is why she loves her job as no two days are the same. Her skill base is varied – being good at communicating is essential – talking and writing. Having a good grasp of the English language and grammar is a number one priority. Another is having good people skills, as the job involves talking to a range of people from different backgrounds from children to royalty and MPs. As far as degrees go there are some good communication degrees at Leeds and Manchester and the Chartered Institute of Marketing (CIM) also offers some good courses and is especially good if your employers are willing to pay for you to do them. Nina is actively involved in the community and whenever you mention her name, people always have a good thing to say about her, which is nice as PR people can sometimes be portrayed as the dark side! You can listen to a podcast of this interview, though sadly Nina had so much to say and we ran out of time!! Don’t worry as I’m sure there’s a part two in there somewhere. 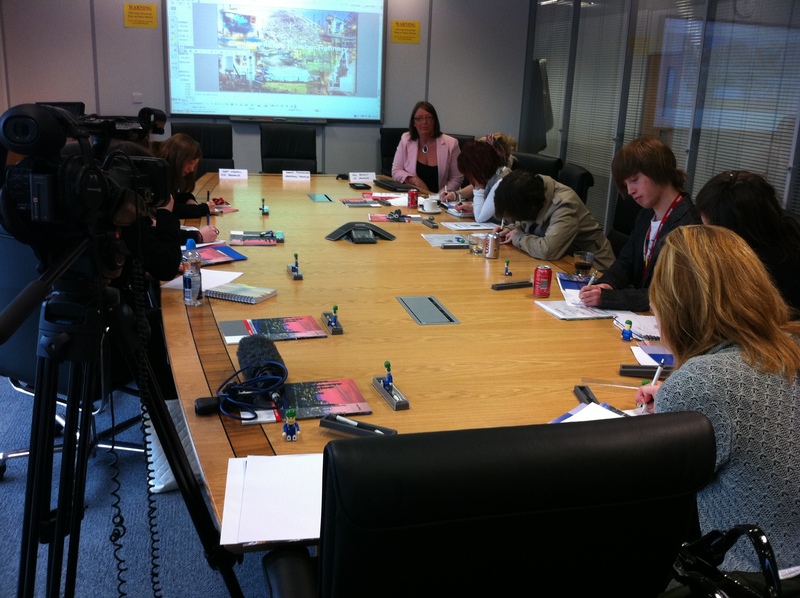 Well the FE Print and Publishing students took part in a mock press conference at ConocoPhillips UK Humber Refinery. They had spent a couple of weeks researching who ConocoPhillips were and what they produce, before looking at petrochemical disasters in the media and thinking about the type of questions they might need to ask. The press conference focused on a fire at Tetney Oil Terminal and the group had three senior managers to grill about what had happened. Things started slowly, as nerves got the better of some of them (even though they’d practised this many times before, in a room of strangers it became intensive). Their questions had been prepared before, but they had all been told to listen and ask follow-up questions (a good journalist will always listen). The group soon warmed up and were asking some interesting questions and true to form the ConocoPhillips management responded with their set answers on safety. At the end feedback was given from both sides and then they split into three groups and went into break-out rooms to conduct one-to-one with the managers. Now they were prepared, for they’d rehearsed and had got off to a fine pat, their questioning techniques – questions on injuries, the environmental impact, how it happened, about their safety record, etc, etc. It was a great experience and a big thanks to Nina Stobart and the managers for allowing the students to interview them. 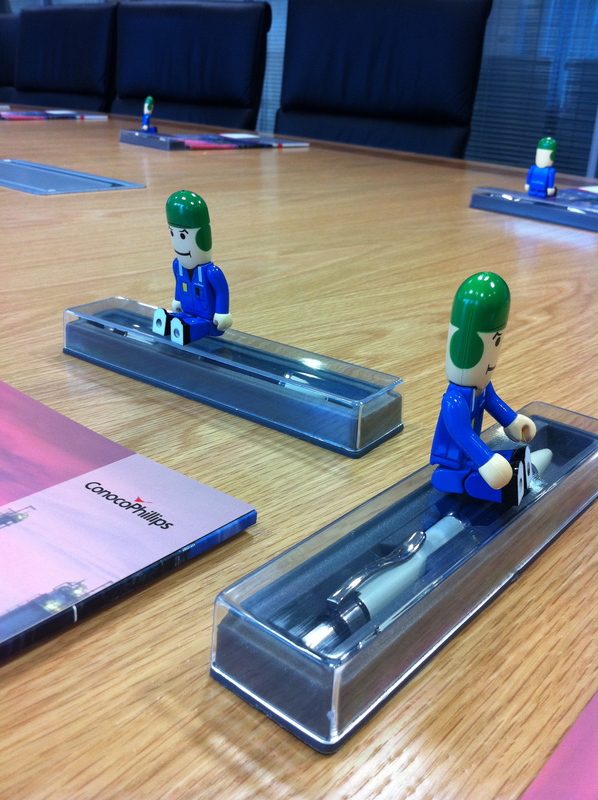 Another highlight of the day for the students was all receiving a “Clint” usb stick and pen plus lunch. It’s amazing how easily pleased they are. All of this was for a purpose and it was filmed for assessment and I have to say no-one failed! 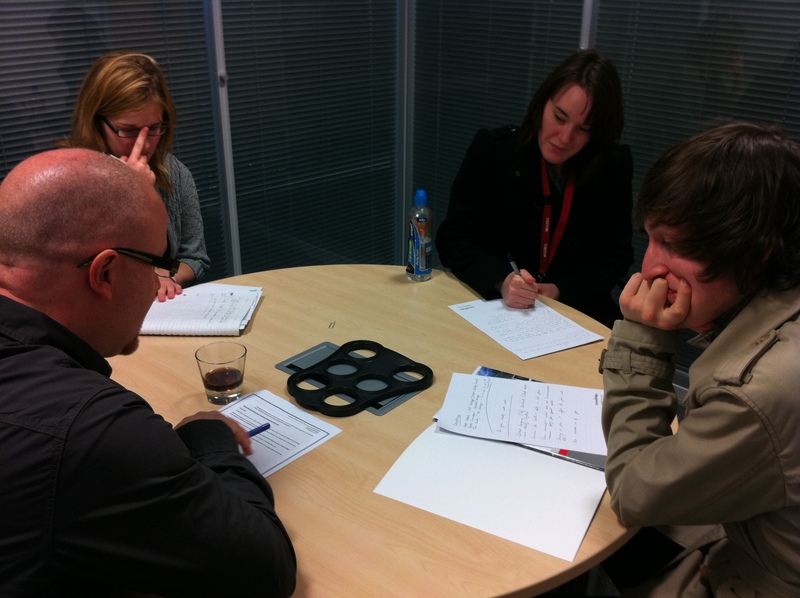 At East Coast Media we work hard as tutors to forge links with industry to give our students an experience. These links involve industry coming in to give talks or do workshops and in other instances it is to offer work placement opportunities. It’s important for education and industry to work together. It’s a two way process, at the end of the day these students could be the future employees. It’s an opportunity to have a say and help shape the training and development, so as education providers we get it right. A recent link that has been forged for journalism students at FE and HE level, is with ConocoPhillips’ Humber Refinery. Their press officer, Nina Stobart, is working with second year National Diploma students on a press conference to take place next month. The students will participate in an emergency exercise and will test their interview techniques and professionalism. Students will also be working with Nina on helping produce video content for their Facebook page – http://www.facebook.com/pages/Mayflower-Wood-Houltons-Covert/168804863163482. The refinery owns a wood – Mayflower Wood and Houlton’s Covert. This is a great opportunity to write content for a client and practise their journalistic skills. We look forward to working with them on this project. Visit http://www.mayflowerwood.co.uk/ for more information.